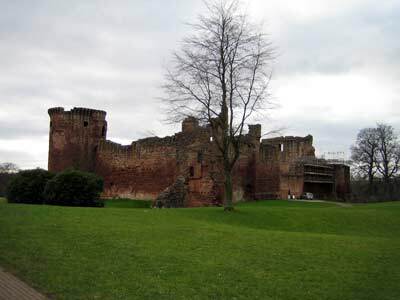 Bothwell Castle was built in the 13th century, besieged several times and extensively damaged during the Wars of Independence with England in the early 14th century, to be rebuilt much as it is today. Although its name may suggest otherwise, this castle has little to do with the Earl of Bothwell since it came into the possession of the Earls of Douglas in 1362. 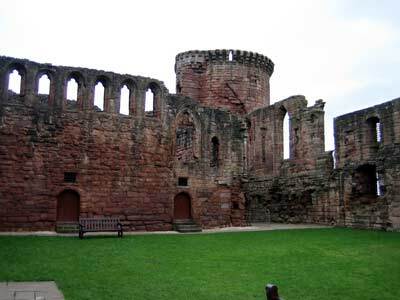 In the castle's courtyard is the oldest part of the building, the great donjon or residential tower built for Walter de Moray, who became Lord of Bothwell in 1242. The tower was intended to be at the heart of a massive complex of buildings and defences, but the full scheme was never completed. In its heyday, the Donjon comprised storage space and the castle well in the basement; the lord's hall on the first floor; a common hall used by the lord's household and his retainers on the floor above, and the lord's private bedchamber on the top floor. The remainder of the castle was built by the Earls of Douglas. 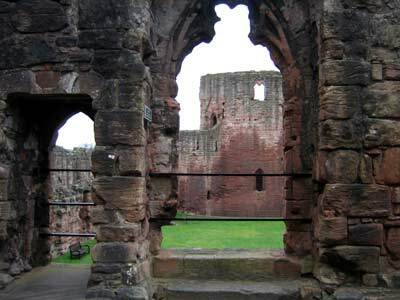 Their own residential tower has long since collapsed but the great hall and chapel survive. Click here to see a painting of the castle. 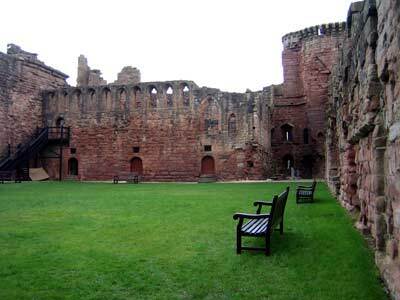 When the 3rd Earl of Douglas came into possession of Bothwell Castle in 1362, it was in a state of serious disrepair. He patched up the old lord's residence in the Donjon but downgraded it and developed a complex of buildings which continued into the 15th century. 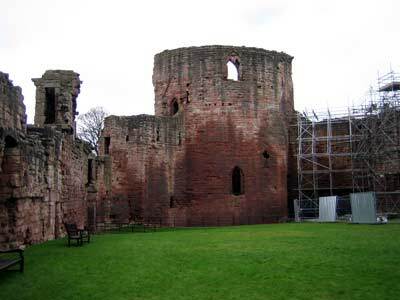 The Earl's private rooms were within the north-east tower, securely defended by the drawbridge. Other residential accommodation was provided in the south-east tower, in the south range of buildings and in the old donjon tower. 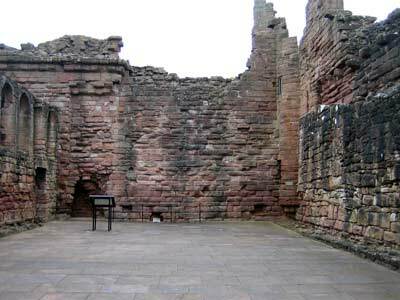 At the heart of the castle was the Great Hall above (and below), the main reception and banqueting room.